There is an understandable tendency among Penguins fans use the state of the Penguins under Ray Shero as a measuring stick for the state of the Penguins under Jim Rutherford. Shero, as Rutherford’s most recent predecessor, provides a natural point of comparison. As fans, we want to see that changes are being made, that the reasons for the firing have been both recognized and rectified by Shero’s successor. While Shero’s tenure understandably still looms large, it’s important to remember Rutherford has had the reins for just shy of two years. As twitter is quick to point out, he has overhauled the Penguins’ roster. This is Rutherford’s team now—well, Rutherford and the cadre of assistant GMs. Together, they’re responsible for the good and the bad, for their own mixed bag of moves, and the constant appeals to the past can only limit our ability to analyze their tenure. 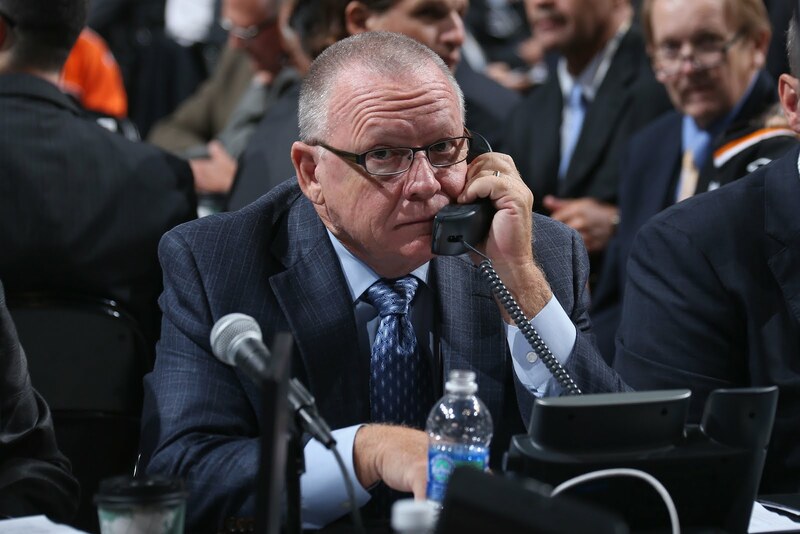 A clear limitation in analyzing Rutherford’s tenure through a strict comparison to Ray Shero can be seen through the Pens’ lingering injury problems. One of the problems that plagued Shero’s teams, particularly in the latter portion of his time as GM, was an inability to stay healthy. In 2013-14, Shero’s last year with the Penguins, the team finished first in the league in total man-games lost to injury. Internally, changes were made to reflect Rutherford’s stated commitment: Andy O’Brien, Crosby’s long-time trainer, was hired to replace Mike Kadar as strength and conditioning coach. The Penguins’ quotes following O’Brien’s hire, which stress importance of preventative care and new training techniques, are telling. Clearly, the organization believes Kadar and his staff played a role in exacerbating team injury issues. We should recognize that their current rank in man-games lost to injury (14th) is an improvement on where they were in 2013-14. And we can, at this point, cautiously say their move toward preventative training techniques has had a positive effect. However, to leave the analysis there is shortsighted. By weighting “Are we doing better than Shero did?” over “Did we solve the problem?” we leave the Penguins where they started: with too many of their players missing time and falling behind their competition. Further, when the Pens’ injuries this season are weighted for their impact on the team, the Penguins jump to 7th in the NHL. That’s even before accounting for the games they’ll now play without Malkin. Malkin, like Hagelin before him, was allowed to re-enter the game after sustaining an injury. Fortunately, unlike Malkin, Hagelin did not miss significant time. But both incidents beg the question of why they were allowed to re-enter the game at all. In vacuum, the quote is sensible; however, taken in the broader context of the team’s track record with putting injured players on the ice, it looks more like one piece of a troubling pattern. Should a decision that represents such a big risk be at the player’s discretion, particularly if the team holds such reservations about it? If the team suspects that medically he can't do it? Despite appeals to a healthier way, the Penguins continue to play fast and loose with player health. Last season, the Penguins allowed David Perron, who lost a year of his career to post-concussion syndrome, to remain on the ice and on the bench after going head-first into the boards against Buffalo. This is similar to what we saw with Malkin and Hagelin this year. So, despite a summer of working on injury issues, the Penguins are still allowing players to return to game action when greater caution should have been exercised. Perhaps even more worryingly, Rutherford teased this week that although Malkin is scheduled to miss 6-8 weeks with an injury, he is a “quick healer,” leaving open the possibility that Malkin could return to the line up sooner than expected. It’s probably worth remembering that last season Maatta returned early from labrum surgery only to re-tear the cartilage, forcing his second surgery in eight months. It’s impossible to say whether more healing time could’ve prevented Maatta’s second injury, but given their recent history, we can say that the Penguins aren’t yet being cautious enough. The Penguins can’t fix their injury culture overnight, and they certainly are not the only team in the league discounting player health. But, to content ourselves with “this is an improvement over the last guy,” who was ultimately fired for doing a bad job, sets the bar way too low. As Chicago and Los Angeles, winners of five of the last six Stanley Cups, have shown, a healthy team is an important building block in long-term success. Things are changing fast in the NHL. From when Shero was hired to when he was fired we watched the rise of advanced stats from a blogger’s hobby to a regular job in NHL front offices. Shero’s roster building philosophy during his tenure with the Penguins represents a faulty bar by which to measure Rutherford’s abilities in this area. Such a comparison asks Shero to have been at the cutting edge of statistical analysis (to be fair, I wish he had been) while giving Rutherford credit for making moves that are in step with, as opposed to at the forefront of, the current ethos of the league. While the Metro used to be an easy win for Pittsburgh, even with unimpressive rosters, competition has increased around the Penguins, convincingly outpacing them. If the Penguins want to win sustainably, and move out of the wild card purgatory they’ve put themselves in the last two years, they’re going to have to look outside of the organization. Rutherford’s use of injury consultants represents a good first step in this direction, but more can be done on all levels of hockey operations. What are other teams doing? What are they doing well? Who is doing it the best? How do the Penguins get two steps ahead of that guy? We can all agree: this isn’t Shero’s front office anymore. So, where do the Penguins stand in comparison to their peers, in the NHL of 2016? These are hard questions to answer—harder than making comparisons to Shero’s tenure—but it would be to our credit to try.